I dont have allspice in my pantry right now, so will the taste be affected if I omit it in the recipe? It will taste different but should still taste good. 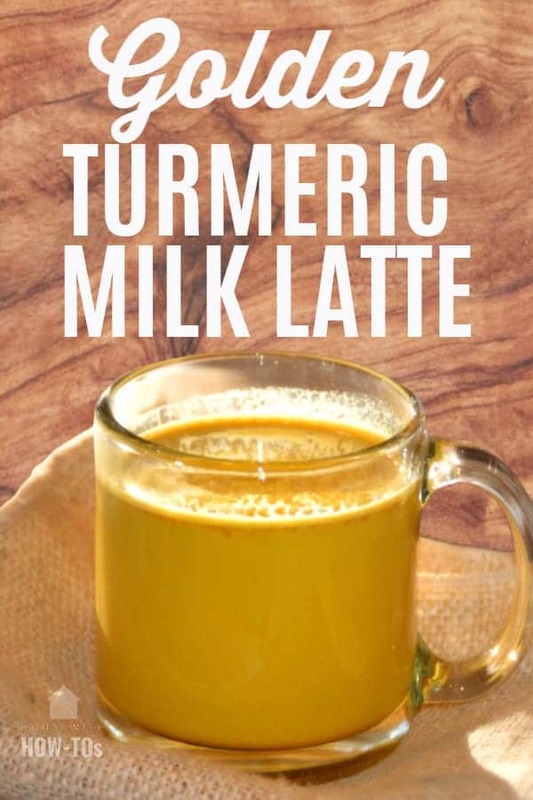 I am currently sipping on my first cup of Turmeric Milk and I love it! I am currently dealing with Patella Tendinitis (due to running) and I am hoping this helps with the inflammation. I use Turmeric on avocados too. Turmeric on avocados sounds interesting! After heating the milk and adding the spice mixture and then heating again. Can I then leave it too cool and drink it cold? Also could I do a small batch of the drink and store it in the fridge? Not a big fan of warm milk. Anxious to give this a try. Thanks for the post. Well, as with any herbal supplement, if you want to see long-term results you need to drink it on a regular basis. I started experiencing relief after a week and the more consistent I was about drinking it the more relief I felt. My best friend call me and told me to try this. Thank you for the recipe is delicious and good for me, will drink it every night even my finicky daughter liked it. 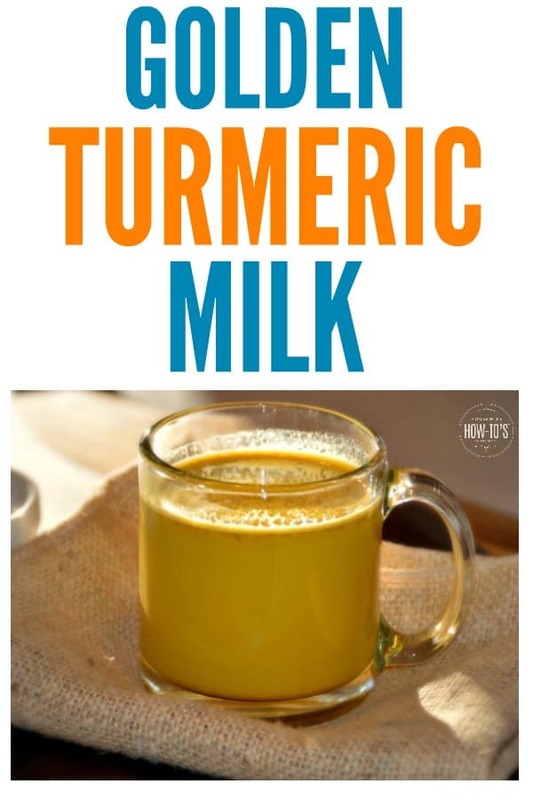 I’ve just started adding Turmeric to my daily consumption.. I’ll start adding your Bedtime recipe tomorrow. Noticed your recipe does not add Coconut Oil. Why? 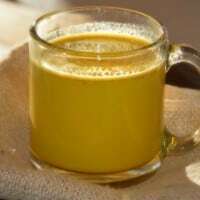 My recipe is fashioned after the original Ayurvedic recipe for Golden Milk (Haldi Ka Doodh), which does not use coconut oil. You can certainly add it, though. The traditional recipe would use ghee if additional oil was desired (say, for soothing a sore throat). Many people have that gut reaction to turmeric pills. I did, too, and it took me a while to figure out what the cause was. I’ll have to give your muesli stir-in a try. Thanks! Thanks for the post. I use almond milk and it is very yummy. Can I use cayenne pepper instead of black pepper? Cayenne pepper doesn’t contain piperine – the compound in black pepper that unlocks turmeric’s anti-inflammatory properties. How do u strain yours? I just tried a coffee filter over the cup, didn’t work very well. So then just used a regular strainer. Kinda spicy but I like it! I have a strainer for tea which rests on top of the cup. This is the one I use — that’s an Amazon affiliate link in case you want to support this site through a small commission without the item’s price going up. That’s a fantastic suggestion, Jane! Thank you for sharing it.